Last night, the Oscar for best performance went to old-fashioned TV. "You Can Watch the Oscars Streaming Online for the First Time Ever!" Time proclaimed yesterday. Liars. In fact, if you tried (as I did) to stream the Oscars last night, you likely spent the evening staring with violent rage into an error screen on your phone, tablet, or television. It didn't matter if you were using cable, telco, or a cord-cutting favorite like Aereo. The night illuminated what Zach Seward deemed "the huge gap between internet TV’s promise and its glitchy reality." One possible reason that live Internet TV watching isn't ready for primetime is that content delivery networks and service providers haven't invested enough in handling that sort of traffic because they haven't seen that viewers are begging for it, since old-fashioned TV is still such an enormous behemoth. 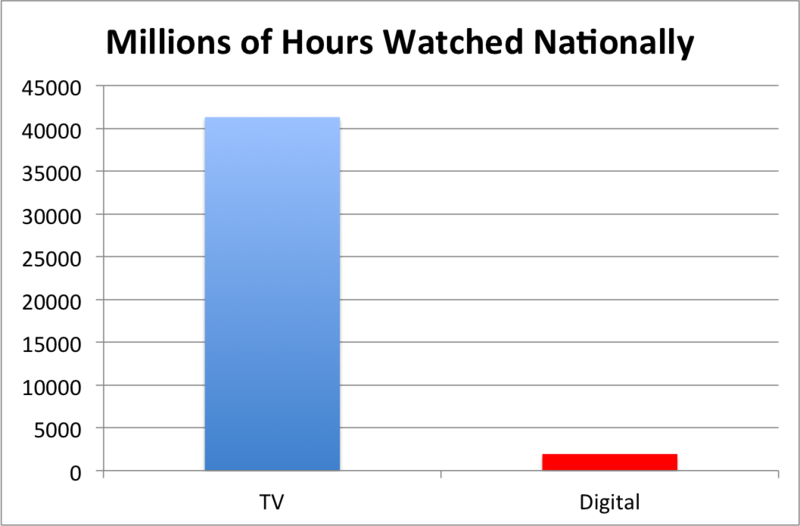 A new Nielsen survey of traditional TV vs. digital vide viewership found that there are 283 million TV viewers, each consuming an average 146 hours a month. 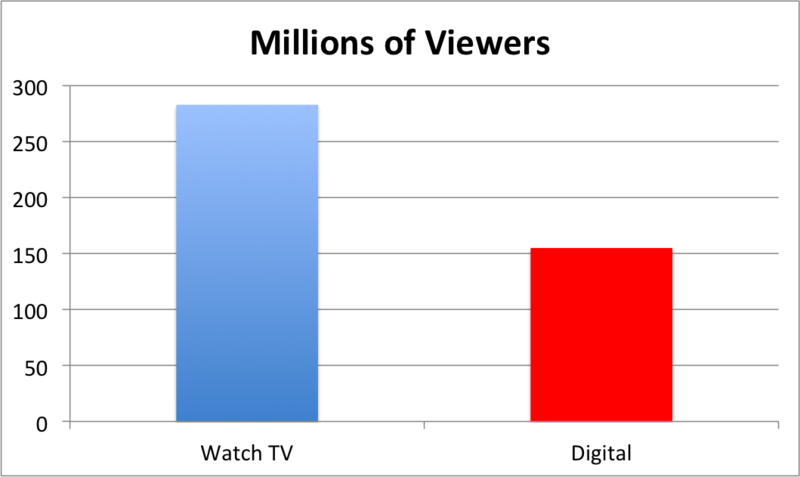 Compare that with 155 million digital video viewers averaging just shy of 13 hours monthly on a mobile device or desktop. 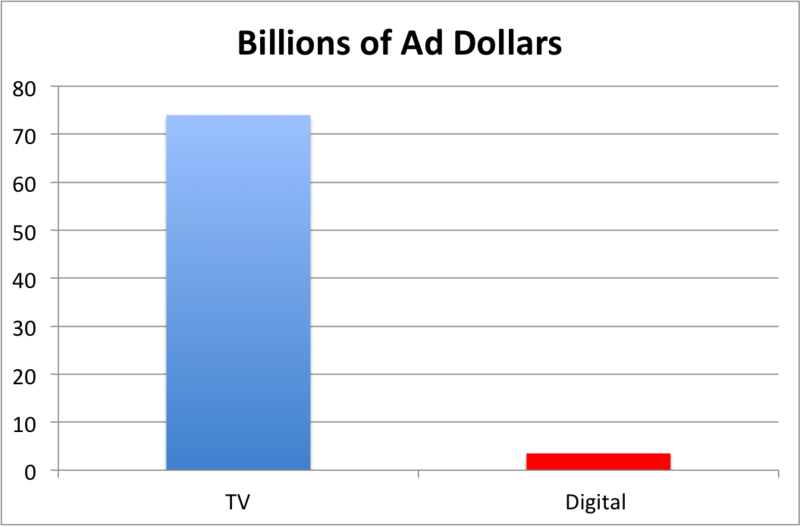 Here's what that looks like, with the traditional TV business in blue and digital video in red.